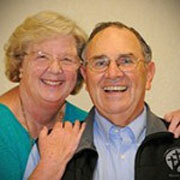 Pastor Ed served as the Senior Pastor at NCC for 33 years! He retired from staff but he has not retired from serving Christ as a pastor at NCC. In addition to caring for souls at NCC he serves our community as a Chaplain and through CityServe. Affectionately known as Newark’s Chaplain, Pastor Ed is a loving husband to his wife Pat, a compassionate father to his son and daughter, and an energetic grandfather. When he is not spending time with his family, ministering in his church, or serving his city, you can find photographing God’s awesome creation.